Man has not always been at the top of the food chain. Our lack of fangs, claws, etc. once made us a temping treat. Only in the last two centuries or so did our ingenuity give us the tools to consistently overcome the world’s top predators. Before that, humans huddled around campfires for eons, jumping at bumps in the night and teaching their children to fear the dark. Most of the time, the fear of fire would keep our primitive superiors at bay. However, there are many instances in history where a human settlement became little more than a buffet to a lion, a pack of wolves, or the Beast of Gevaudan. The Beast of Gevaudan (pronounced je-voo-DAN) lived, killed, and died in southeast France in the disturbingly recent 1760s. It fataly mauled and mutilated 102 people, most of them women and children. It was hunted by hundreds and shot at by dozens, many of whom were sure they had hit it, but this only seemed to increase its boldness. One cannot study this period without sensing the terror peasants must have felt, cowering in their homes as the Beast walked unchallenged through their villages. But the most frightening thing about the Beast? Nobody knew what it was. Enter the History Channel. This story has long been a source of fascination for crypto-zoologists, because whatever this creature was, it left 102 bodies behind. Ergo, it couldn’t have been a hoax or a myth. So it only makes sense that the History Channel would enlist the talents of crypto-zoologist Ken Gerhard to investigate the mystery. Why they paired Gerhard with Jersey criminal profiler George Deucher is less clear. 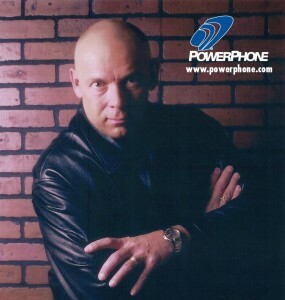 Deucher is sort of the Dana Scully of the pair; the hard-bitten, no-nonsense skeptic. For most of the film, while Gerhard insists the Beast must have been some previously undiscovered animal or mutation, Deucher is equally adamant that it was a human serial killer. How he plans to identify this killer, however, is beyond me. One of the tricky things about crime detection is that the trail goes cold fast. It’s hard to catch a murderer a few weeks after the killing, let alone 240 years. I’m sure the man is good at his job, but it would seem Deuchar was included less for any particular expertise than for the sake of having a skeptic voice in the cast of characters. Realistically, the Beast could not have been a human. Too many people saw a quadruped animal, including some who were attacked by it and survived, often in broad daylight. Doubtless, the witness accounts include some embellishments. One man said he saw the Beast walk on water. Witnesses also reported the Beast to be as big as a horse. None-the-less, I don’t think there can be any doubt that there was a real, unknown animal involved. We’ll never know for sure what the Beast of Gevaudan was, but, based on what I have read from the time, there are a couple of theories worth taking seriously. One thing we can be sure of is that it was no wolf. 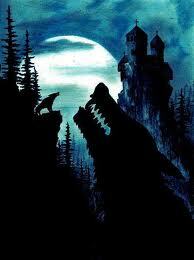 Many wolves were killed in the hunt for the Beast, yet the attacks continued unabated. What’s more, this rural shepherd population dealt with wolves on a regular basis, and the wolf had been a symbol of evil across Europe for centuries (just read a few fairy tales). A wolf killing people would not have mystified the locals. Likewise, it seems that French peasants would have recognized a bear, had one been the Beast. And with world exploration well under way by this time, they most likely would even have recognized a great cat had they seen one. A mutation has been suggested by crypto-zoologists, and cannot be totally discounted, but it should be remembered that the overwhelming majority of mutants die in infancy. Obviously, this thins the list of known large predators quite a bit, but, as Sherlock Holmes would say, once we have eliminated the impossible, what remains, however improbable, must be the truth. I think the hyena theory is plausible. 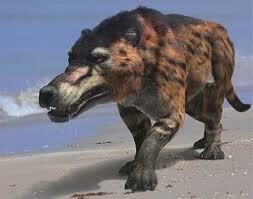 As noted, prehistoric hyenas once roamed across Europe, and were larger than today’s. While they were supposed to be extinct in 1764, it would not be the first time, or the last, that a supposedly extinct animal was found alive. Failing that, it was fashionable for European nobility to collect exotic animals. One could have escaped. A hyena (above) would match most of the witness descriptions of the Beast very well, with reddish-brown, flecked or striped fur, a pig-like muzzle, and an arched back with a fringe of fur. Finally, this species would probably not be recognized by the average Frenchman in 1764. There is another most interesting, and credible, explanation I have read from a crypto-zoologist. He proposes that the Beast may have been a mesonychid, a species of hoofed predator that once roamed Europe, but supposedly went extinct around 5000 years ago. A number of witnesses said the Beast had hooves; sometimes a hoof on each toe. The mesonychid’s hooves had developed a split design that made them function more like claws. Looking at the picture (right), you can see how a mesonychid would fit descriptions of the Beast as well, and would have puzzled any witness (who lived long enough to puzzle) as to what it was. With the world being sparsely populated, and no mass media to speak of, an unusual animal could have migrated a great distance through rural Europe in those days, even killing the occasional human, without being noticed before taking up residence in Gevaudan. Toward the end, The Real Wolfman really falls apart. The pair has found a fair amount of evidence to bolster Gerhard’s hyena theory. Out of nowhere, and maybe out of jealousy, Deuchar espouses a new theory of “a man, killing with an animal.” He asks a wolf expert if a wolf could be trained to attack on command. The wolf expert says he does not think that could be done. They then show an interview with a zoologist who works with hyenas. Looking slightly surprised at the question, he says he SUPPOSES it MIGHT be possible to train a Hyena to attack on command, due to the level of intelligence they exhibit. Where this theory came from is beyond me. They hadn’t found any evidence to support it, and it isn’t necessary to explain anything. But from there, Deuchar, at least, is on the hunt for evidence of a human trainer behind the Beast. The official story of the Beast’s death is that a hermit named Jean Chastel, a Protestant outcast whose son had been jailed on suspicion of being a werewolf responsible for the deaths, had his bullets blessed by a Catholic priest and went out to hunt the Beast on June 19, 1767. He was charged by the Beast in the company of several witnesses and slew it with one shot. (One shot, of course, was all anybody had back then.) Upon being opened, the creature’s stomach was found to contain human remains. Being unable to identify the Beast as any creature they were familiar with, Chastel and his companions put it on a cart and began the long trek to Paris to show King Louis XV, who had promised a reward. However, this was southern France in August, and the carcass reeked unbearably before long. Needless to say, they didn’t have any cameras, and were apparently not equipped for taxidermy in the field. Somewhere along the way, the remains of the Beast were lost to history. The other problem was that, officialy, the Beast had been dead for 2 years. 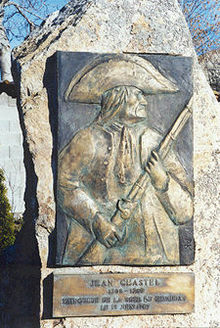 Louis had dispatched Francois Antoine, his Leutenant of the Hunt, who had killed an unusually large wolf. Antoine had been given a hero’s welcom in Paris, and the matter had been closed. When the attacks in Gevaudan continued, and the peasants again begged Louis for help, he hadn’t wanted to hear it. Chastel never did recieve a reward. However, he is now considered a national hero. What case they have against Chastel is completed back in the U.S. Deuchar invites Gerhardt to the shooting range where he and his cop budies hang out. In France, someone told our detectives that Chastel used silver bullets when killing the Beast, a story they seem to have accepted at face value. Deuchar has had a friend cast some silver bullets. It should be noted these are bullets of a modern design, to be fired from a modern rifle, not the musket balls Chastel would have used. Deuchar has a marksman fire three lead bullets, then three silver, at a man-shapped target. He isn’t able to be nearly as accurate with the silver as with the lead. Announcer Jonathan Adams then explains that the rifling in the gun can’t dig into the silver as well because it is harder than lead. Therefore, the bullet doesn’t spin, reducing accuracy. Next, the marksman fires a lead bullet, then a silver, through two bricks of ballisitc gel. The gel is meant to simulate the effect of a bullet on flesh. The lead bullet fractures and spreads out on its way through the gel, causing massive “tissue” damage. The silver bullet, being harder, retains its shape and makes a slim, clean puncture (although it also punches further into the gel). Deuchar argues to Gerhardt that, if Chastle had managed to hit the hyena with a silver bullet, it’s very unlikely he could have inflicted a killing shot, unless the hyena had been trained. Gerhardt muses “It’s possible the use of silver bullets at that time had more to do with superstition than actual science” (Duh.) “so you might be right.” Deuchar tells the camera “silver is lousy ballistic material.” Adams takes over. “… so how did Chastel manage to kill the Beast with a single shot? Because it was a trained animal. It knew Chastel. 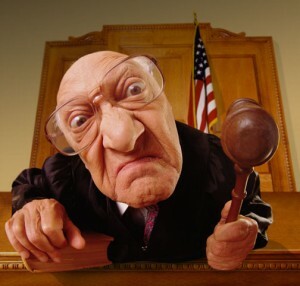 It obeyed him.” So there you have the veteran big city cop’s case against Chastel for 102 counts of murder: Silver is lousy ballistic material. 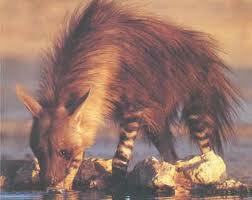 Therefore, the Hyena of Gevaudan was trained by this impoverished hermit to kill women and children. Wait a minute. The story of Chastel killing the Beast may simply be a folktale. Why didn’t Chastel take the Beast to the nearest taxidermist? If he couldn’t afford it, surely someone would have paid for it, in celebration of the monster’s death. Couldn’t Chastel have promised a share of the king’s reward? None-the-less, the attacks stopped, so something must have happened to the Beast. This version seems to have more support than any other. 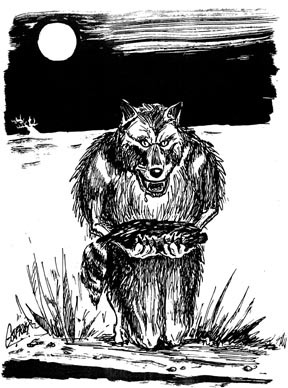 Most records from the time don’t say anything about Chastel using silver bullets, and this was probably a story that developed later, especially considering that the silver bullet is a relatively recent addition to werewolf mythology. (See Witchcraft and the Occult, Robert Jackson, 1995.) He probably used a perfectly ordinary lead ball, and I’m sure he wasn’t the first to try having it blessed by a priest (assuming that part of the story wasn’t fabricated later for church propaganda). With the hundreds of men that hunted the Beast, it’s no surprise one of them was finally in the right place at the right time. Assuming Chastel did try a silver musket ball, and had the funds to obtain one, Deuchar’s accuracy test was flawed. Guns in 1767 didn’t have rifeling anyway, so that wouldn’t have been a factor. You also have to ask, even if Chastel was such a monster, why did he keep killing children for three years, thereby increasing his risk of getting caught, and missing out on the reward? None of these questions are asked in The Real Wolfman, however. It seems that the element of the human killer needed to be forced into the History Channel’s explanation of the Beast to justify their inclusion of a cop on the investigative team. In the final scene, Gerhardt and Deuchar walk down the street, congratulating eachother. Deuchar says “It looks like we were both right, huh?” They seem oblivious to the seriousness of the accusation they have just levied against an actual historical figure with known living decendants. Seriously, if any such decendants happen to read this, it would be worth talking to an attorney about a libel suit. 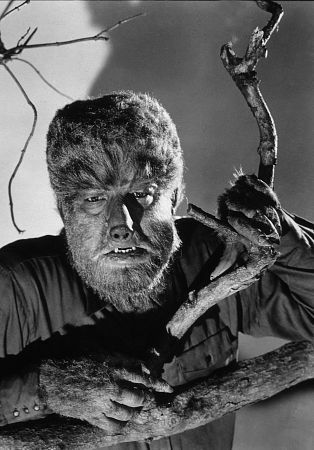 In summary, The Real Wolfman doesn’t deserve to be called a documentary. It’s just a lot of wild jumps to conclusions and groundless (and needless) accusations. I suppose I’ll give it a star for putting forth the Hyena theory, though it wasn’t the first work on the Beast to do so. “She exerts enormous power, doesn’t she, Lawrence?” Sir John Talbot (Anthony Hopkins) gazes into a telescope at “That orb’d maiden with white fire laden, whom mortals call the moon.” At his side is his estranged son (Benicio del Toro). Lawrence, of course, has no idea just how strong a pull the moon will soon have over him. The full moon still holds sway over the imaginations, and debatably, physiological responses, of mortals. 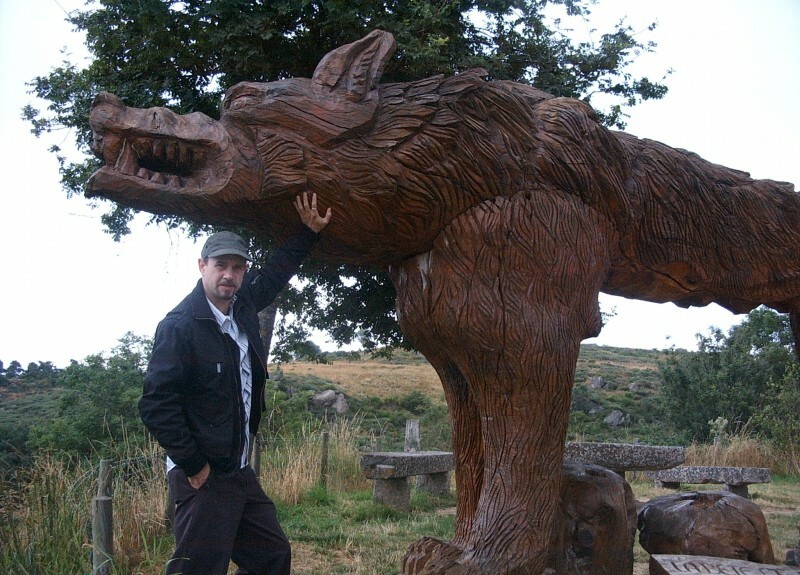 Again and again, it draws us back to werewolf mythology. Then again, if you think werewolves are only mythology, you’re probably not one of the souls who has run into the Bray Road Beast, or one of the 102 French peasants who met their end in the jaws of the Beast of Gevaudan. The Wolfman is worth watching. I will say, it isn’t very scary. But then again, scary is hard to do. 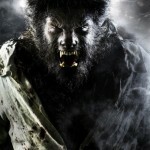 While I wouldn’t want to tangle with a werewolf in real life, they are not among Hollywood’s scariest of monsters. Their existence is limited to two or three days a month. They have none of the intellect of Dracula, the omnipresence of Pazuzu, or the reproductive speed of Aliens. This, of course left the writers with the problem of how to build suspense and terror in between full moons and, of course, fill the movie up with enough jump-scares and bloodshed to keep a 21st century audience interested. They actually did a pretty good job. 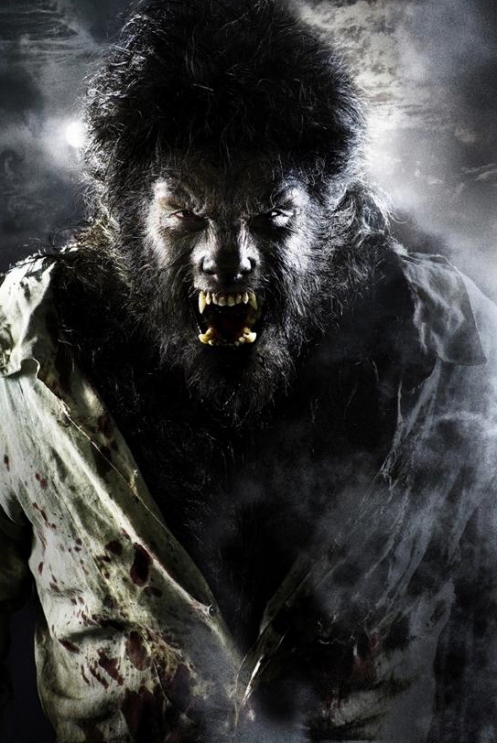 While some werewolf movies act like they have the authority to summon a full moon at their whim, The Wolfman actually allows such phenomena to happen at their natural time, bothering to fill the weeks in between with plausible plot developments. Full moon #1: Ben Talbot, walking through Stock Scary Scene #F785, strolls alone into the woods, shouting “I know you’re out there! Show yourself!” He is then fatally mauled by the Wolfman. Never walk alone into the dark shouting “show yourself,” kids, it won’t end well. Full moon #2: Talbot goes to a nearby Gypsy camp to inquire about a medallion he found among Ben’s belongings. A group of villagers shows up armed, suspecting the Gypsies’ performing bear caused the deaths. However, during the ensuing confrontation, a strange creature, visible only as a blur and a shadow, attacks the camp, killing Brittons and Gypsyies alike. Talbot sees the creature chasing a panicked boy, intervenes, and is, you guessed it, bitten but not killed. As Talbot lies in bed, recovering, we get more dialogue, flashbacks, a doctor who shakes his head when Talbot is up and walking around after a week, and a visit from a rational-minded inspector (Hugo Weaving), trying to get to the bottom of the murders. By now, of course, the villagers know what’s up, and everyone is making silver bullets, though we later find out that most of them can’t hit the broad side of a barn. Make up has come a long way since 1941. Full moon #3, of course, is Talbot’s first transformation, after which, he is arrested, believed to be a homicidal lunatic, and suffers four weeks of, well, somewhat realistic torment at the hands of a 19th century asylum. And of course, there are more flashbacks, more hallucinations, and more back-story. Full moon #4: We see Talbot running amok in Downtown London, which is pretty cool. Then Talbot returns to Blackmoore for Full moon #5. The Wolfman is a fairly faithful adaptation of the 1941 film of the same name starring Lon Chaney, Jr. (If anybody cares.) It does, however, contain some plot enhancements worthy of modern special effects, including a great monster-vs.-monster sequence toward the end. There is also a climactic scene between Lawrence as the Wolfman and Gwen that plays out beautifully. That said, there are also some eye-roll-worthy techniques that they use, such as cramming the movie full of dream sequences and hallucinations, mainly to give themselves enough jump-scares and severed heads to fill up the trailer. Even without the hallucinations, this is one of the goriest movies I have ever seen. If the body count of The Wolfman doesn’t break 100, it’s got to be close, especially if you count each of the pieces most of the bodies wind up in. Think When Animals Attack on steroids. Then again, I doubt lupine predation was ever a tidy affair. 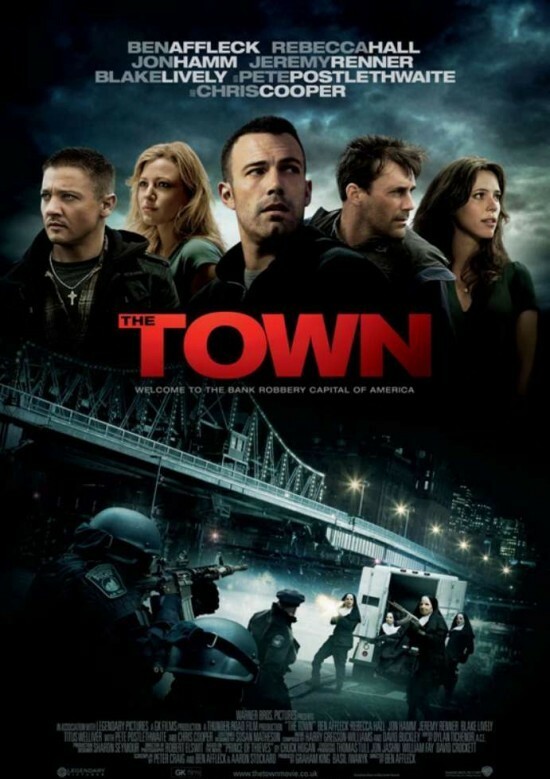 Overall, this is a highly engaging picture with an interesting story and some good action. If you’ve got a strong stomach, rent it, make some popcorn, and enjoy. Then go outside, and see if you can fight the urge to howl at the moon! Berg makes the action nasty enough that you wonder if this is a sports movie or the teen version of Braveheart. If you enjoy watching young men get their noses smashed and fingers broken, this is the movie for you.